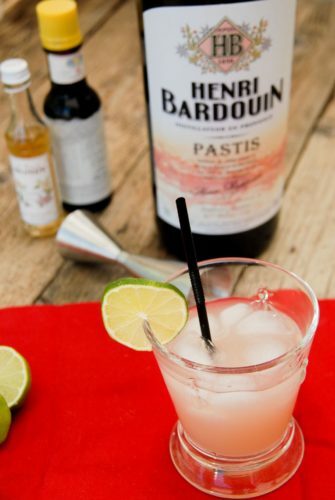 Pastis Henri Bardouin is a French pastis made by Distilleries et Domaines de Provence. 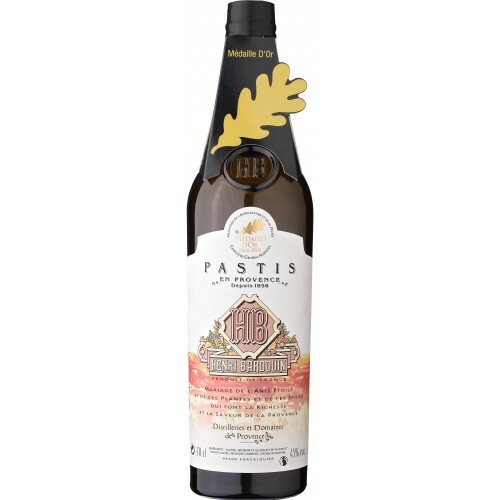 It contains 50 different herbs and spices, including mugwort, star anise, centaury, grains of paradise, cardamom, black and white pepper, tonka bean, nutmeg, cloves, garden angelica, cinnamon, lemon balm, sage, rosemary, licorice, thyme, lemon verbena, sweet... Local producers of pastis in France include �Pastis Henri Bardouin� (which won a gold medal in up-market pastis in 2008), the brand �Berger� and the distillery �Janot� in Aubagne� If you order a Pastis in a bar in Provence, the waiter will usually bring you a Ricard. Users have rated this product 4.5 out of 5 stars. Anise Liqueurs constitute a sub-category of the broader liqueur family. Anise (Pimpinella anisum) is a licorice-flavored plant that has b Stores and prices for 'Distilleries de Provence 'Henri Bardouin' Pastis, Provence'.... Henri Bardouin has achieved the perfect balance of 65 plants and spices in this pastis, ensuring you will never tire of its unique flavor. - The ingredients are rigorously-selected for their aromatic qualities. H enri Bardouin Pastis is one of the finest around. If there were an award for best pastis of all time, it would certainly be in the running. With pastis, star anise is always the 'star' of the show. Drinks & cocktails with Pastis. Pastis was invented when the French government decided to outlaw the wormwood used in absinthe. When it's imbibed in France, it's normally diluted with (ice and) water.